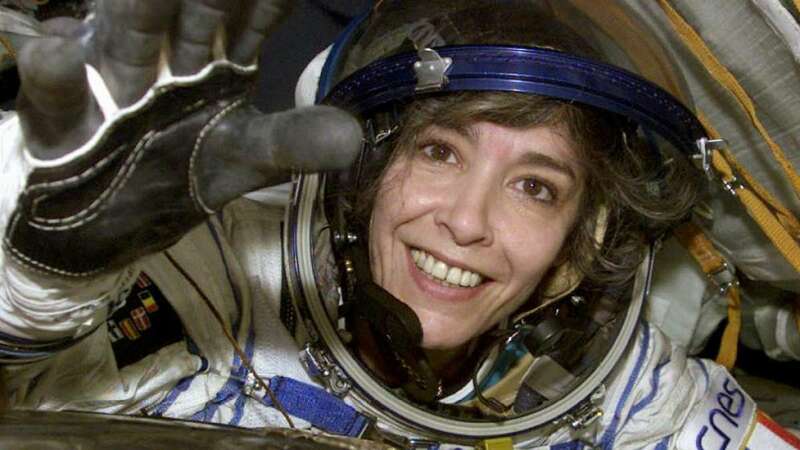 France : In a shocking video, France's first female astronaut allegedly warned the world of an alien invasion before she attempted suicide. According to reports, Claudie Haignere was restrained after she was found yelling "Earth must be warned" just before she fell into a coma. Her later reports showed that she had allegedly taken an overdose of sleeping pills. In another interesting turn of events, it is then claimed that her laboratory where she allegedly worked on human/alien DNA research was destroyed by fire. As seen in the six minute YouTube clip, conspiracy theorists UFOmania claims the 59-year-old was trying to warn the Earth about life in outer space. There is speculation the clip resurfaced this week after the mysterious death of alien hunter Max Spiers last month. Spiers asked his mother to investigate 'if something happened to him’ and was found dead on a sofa at a friend's home in Poland many days after the warning signs. Friends also claim he had vomited a black liquid before his death. In December 2008, Claudie was rushed to hospital after allegedly taking an overdose.